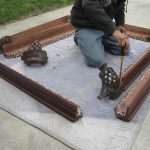 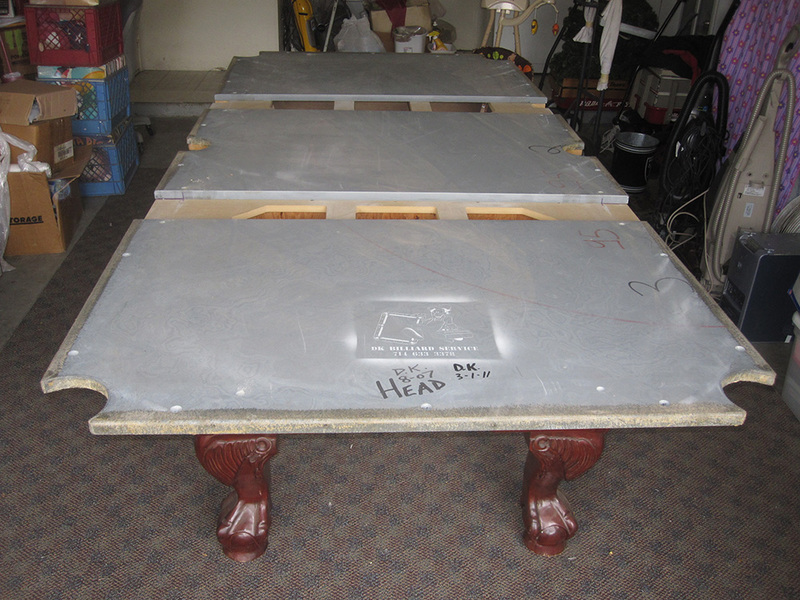 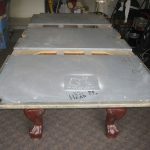 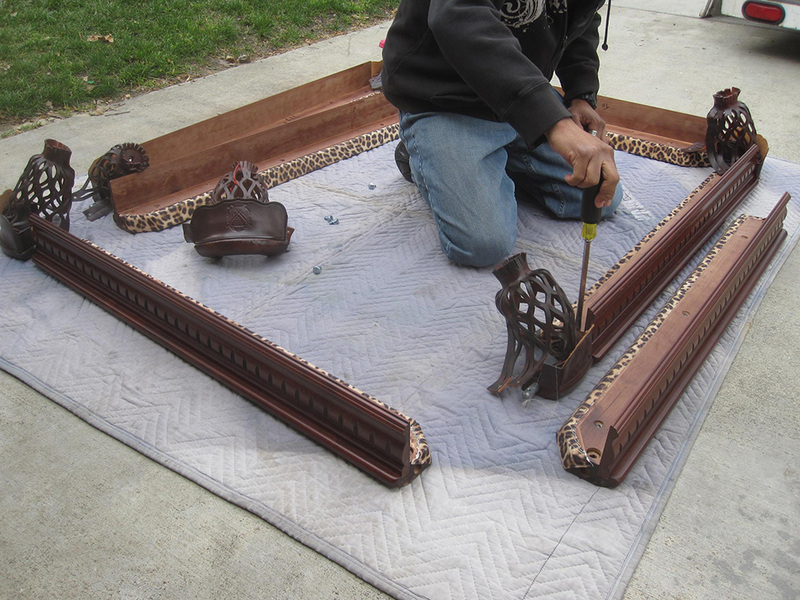 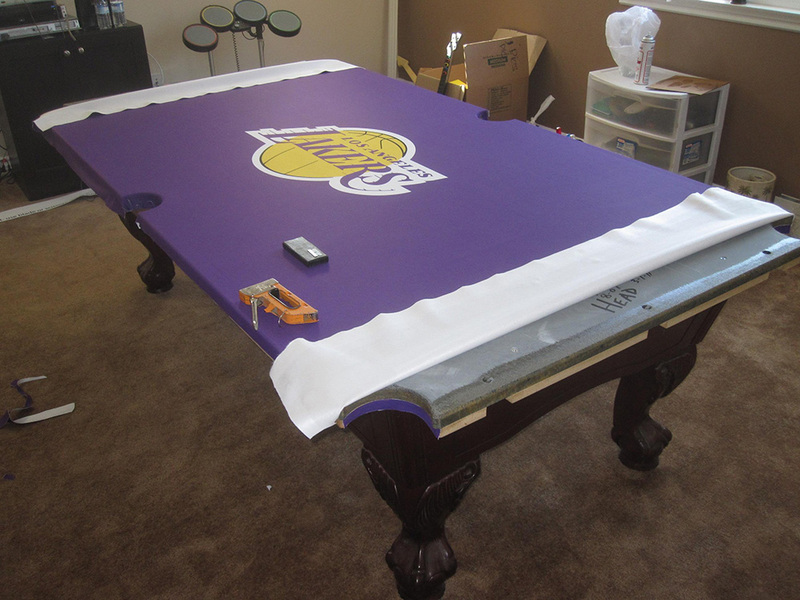 This is an eight foot American Heritage pool table we moved from Orange County to Chino, CA for our clients about four years ago. 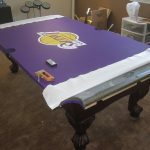 The clients booked us for another move, this time to Fontana, CA and get this this, the pool table actually gets it’s own room this time, not just a lonely cold garage. 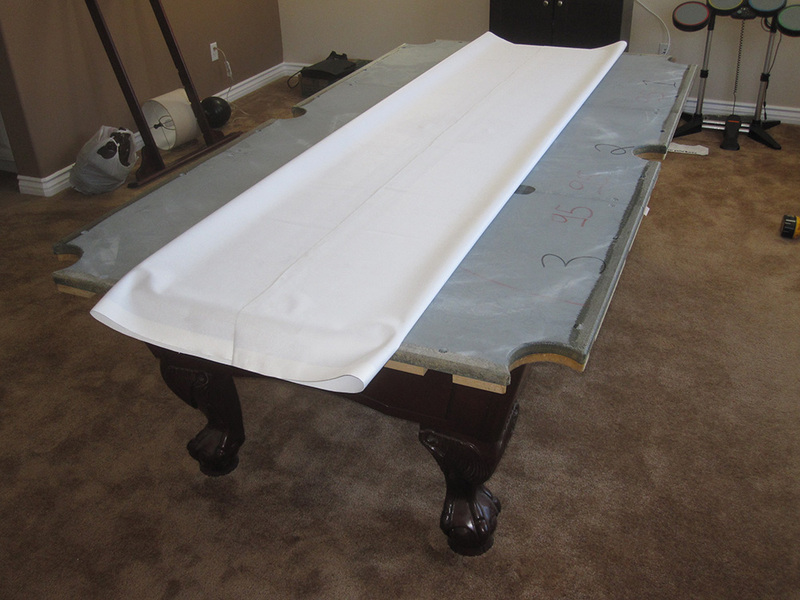 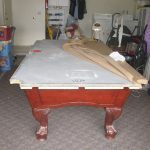 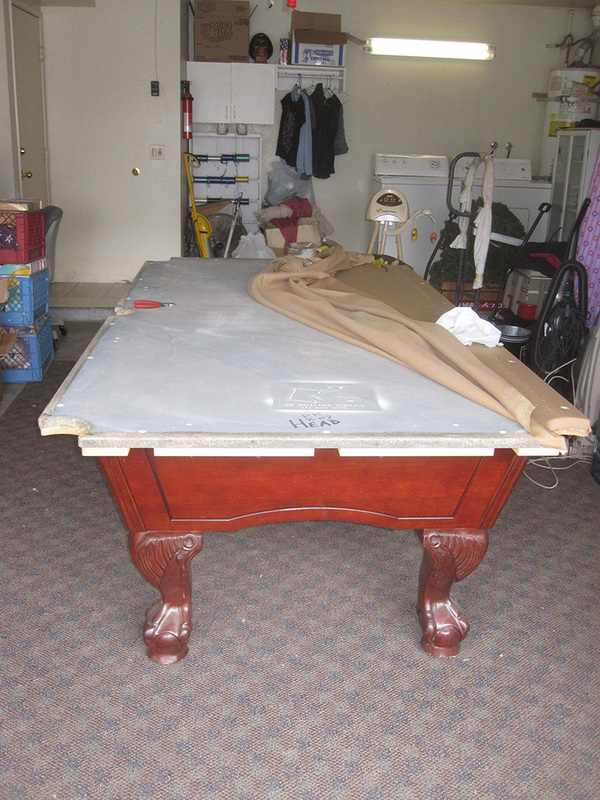 When we moved the pool table to Chino the client also had us refelt the table with Velocity Pro worsted wool cloth. 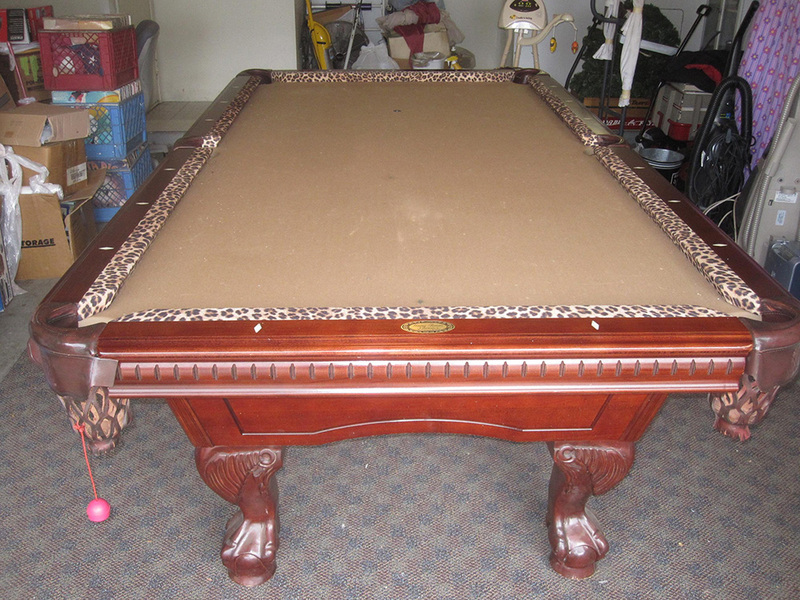 The client wanted something a little on the wild side so she had me install our custom faux animal skin printed cloth on her pool table rails. 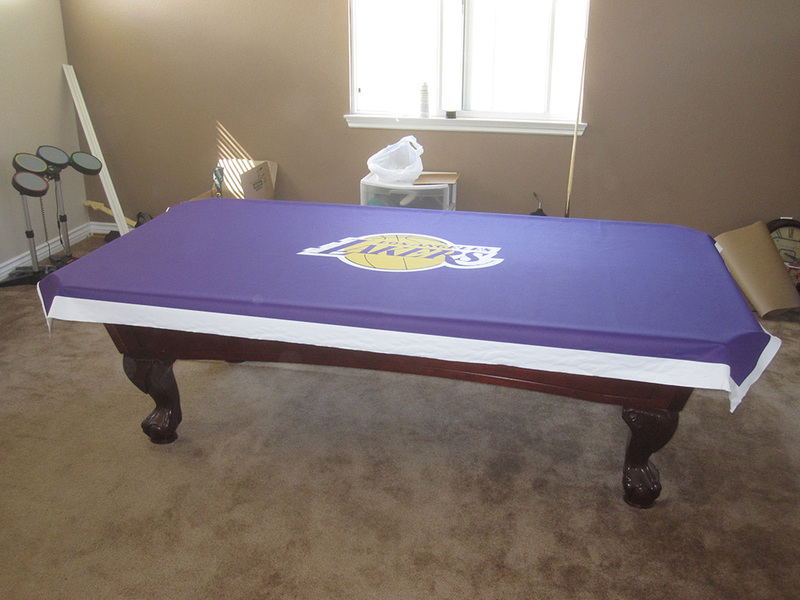 On this move our client’s husband really lucked out. 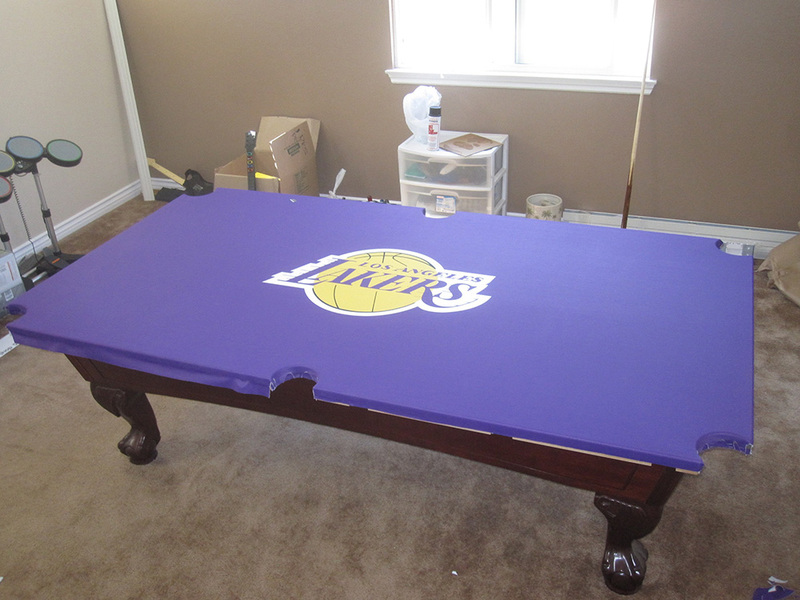 Not only does he get to have his precious pool table indoors in his very own “Man Cave”. 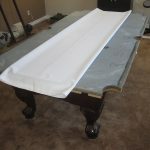 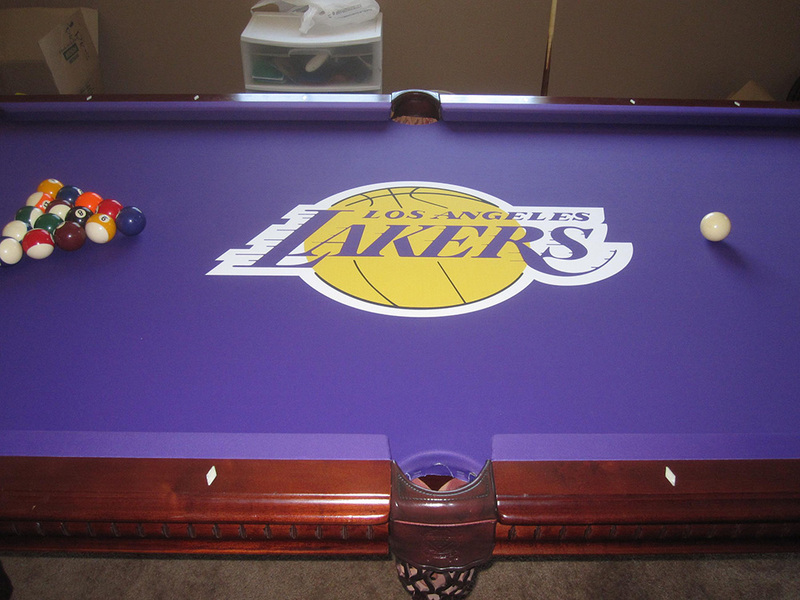 The husband also got to choose what kind of billiard cloth was going to cover his pool table. 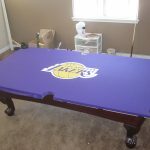 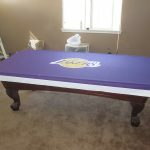 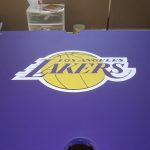 Since he is a big Lakers fan, his wife found him this custom Lakers pool table felt. 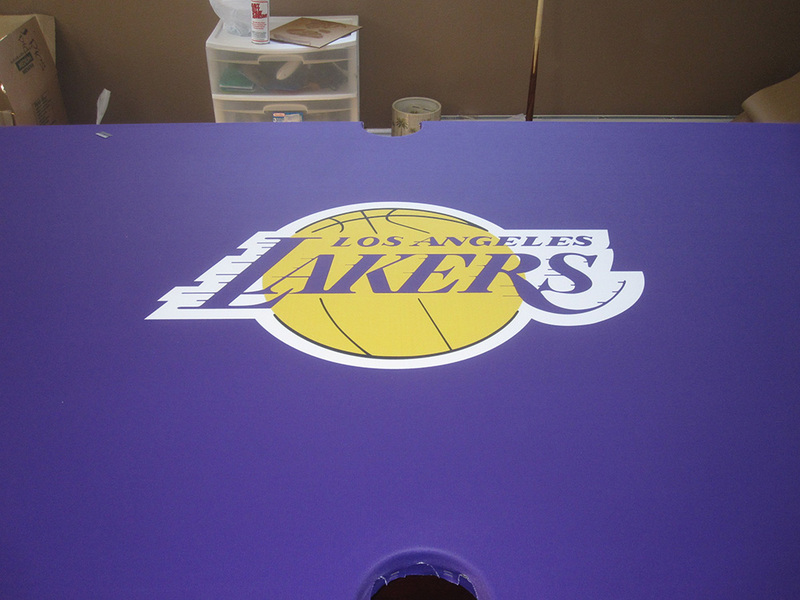 no, i’m sorry we can’t get nba felt anymore.